The first step toward better air quality is keeping up with regular repairs of your HVAC system or replacing it entirely. Create an eco-friendly home. Talk to contractors that can help you select, install, care for, and maintain HVAC solutions for your home. 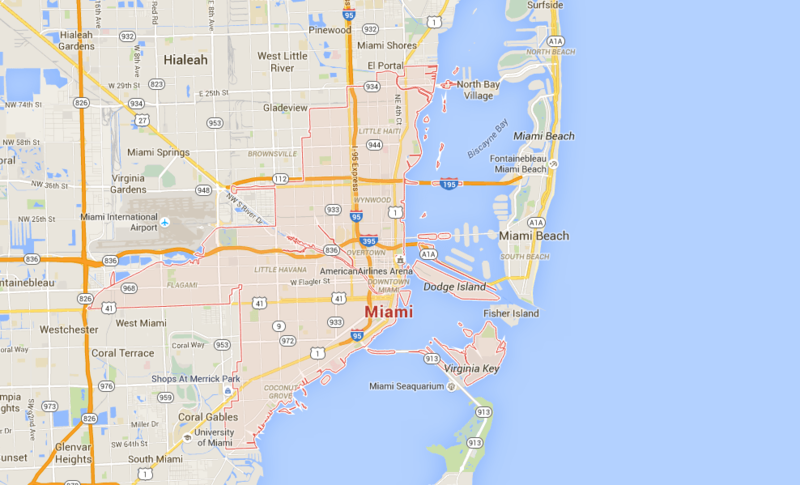 Modernize has over 10 years of experience helping homeowners find and compare local estimates on HVAC in Miami, FL. We are known for helping homeowners find the best local costs for cooling and HVAC unit services in their area. It is always smart to compare at least four different price quotes from contractors to make sure you are getting the best local prices on installation services. Get free quotes from the best hvac repair contractors in Miami, FL, ready to complete your project. Since a new HVAC system is a major investment, it’s important to understand you’ll need a system that works well with the Miami climate. The Sunshine state has plenty of warm rays to enjoy and with its location on Florida’s east coast helps keep homes comfortable. As far as national averages go, though, Miami experiences 131 days with precipitation hovering right at 60 percent. The city experiences 248 days of sunshine with temperatures reaching the low 90s while winter stays at an average of around 60 degrees. For overall comfort, Miami is rated 30 out of 100 with the U.S. average set at 44. The higher the rating, the better the comfort. What Benefits Does a New HVAC Provide in Miami? This depends on the reason for a new installation. If your current system isn’t working at its peak efficiency, a new system can significantly change the comfort level of your property. An old or outdated system can also be a drain on energy resources driving up your monthly utility bill. Maybe it’s time to increase or decrease the tonnage for more even coverage. An HVAC system that is too small or too large won’t provide the cooling and heating levels for the square footage of the property if the initial calculations were incorrect. If you’ve added onto your property, you’ll want to adjust the new system to accommodate the extra space. An instant benefit of installing a new system in Miami is that your property value will increase. This is good for property owners interested in selling their home. A new HVAC system is an immediate selling point and one that potential buyers are looking for. The initial cost of a new HVAC can run into the thousands, but each month that you save on your utility bill adds up and you’ll see the system eventually pays for itself. What Should I Know When Shopping for an HVAC System in Miami? Does it matter what type of system I have installed? You want a system that will accommodate the Miami climate and one that works for the size of the property. How much can I expect to spend? On average, a new HVAC ranges between $3,500 to $5,000. This figure may or may not include duct work should you need it. If you select a ductless split system, duct work won’t be necessary. Are there any programs offering refunds? There are local programs that offer incentives and financing options. To find programs in the Miami area, visit the DSIRE website. If you choose Energy Star products, you may be eligible for a tax credit. What about size? Should I buy the system with the most tonnage? The system you choose should be based on the square footage of your property. This ensures the system will work at optimum capabilities to heat and cool the areas. Placing an HVAC system that is too large for the square footage means the system will continually turn on and off to regulate the temperature. This is a waste of energy. Installing a system that is too small for the area exerts more strain on the HVAC as it attempts to regulate the temperature. This will lead to burn out of the system and repair costs that aren’t necessary if you buy according to the size of your property. Either too large or too small leads to higher utility bills. Are HSPF and SEER ratings really that important? Yes. Both rate the efficiency of the unit. The higher the rating, the more expensive the system but you’ll receive the best level of temperature comfort as well as a better use of energy resources and lower utility bills. Can I install the system myself? You will need to hire a professional HVAC expert who has the necessary state certification and insurance coverage. A certified HVAC specialist has the tools and knowledge to do the work required which includes electrical and installing duct work if necessary. Do I need a permit? Contact the City of Miami for information and requirements for HVAC installation. The Building Department is located at 444 S. W. 2nd Avenue, 4th floor or phone (305) 416-1100. It’s in your best interest to contact the permitting office, first, to find out what you will need to do prior to any work being done on your property. A new HVAC system makes a world of difference in the comfort level of your property, saves money on utility bills each month, and increases the value of the property. It is one investment you can count on to pay for itself.